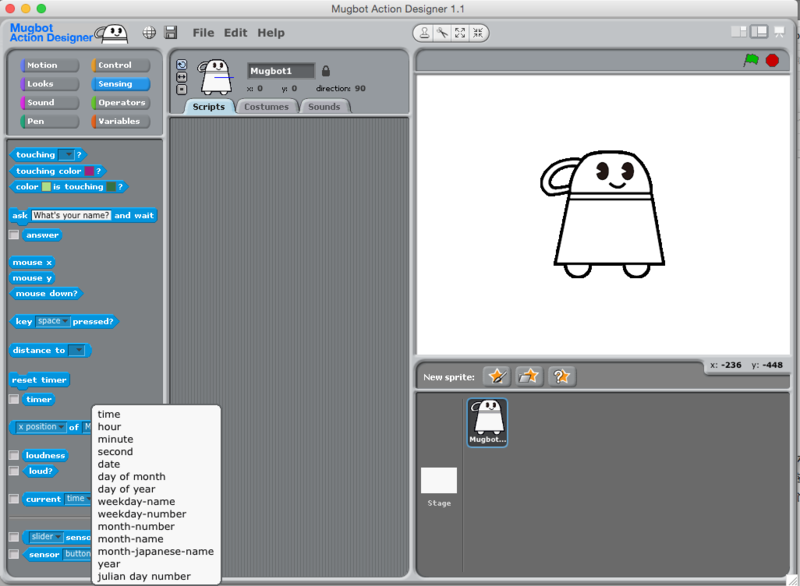 We upgrade Mugbot Action Designer from v1.0 to 1.1. 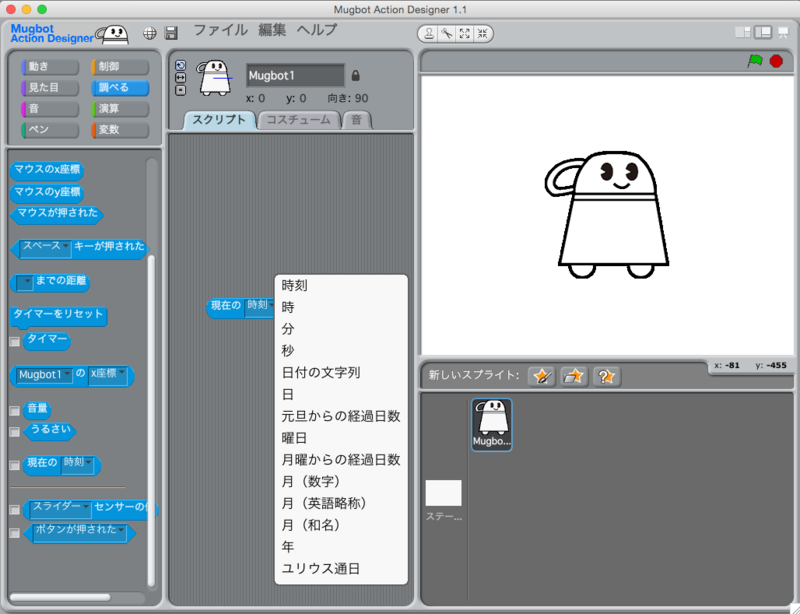 MAD is customized SCRATCH for Mugbot. We add “time block” at MAD v1.1. We can controll Mugbot according to time schedule.